Fifteen years ago (in 1999) Cystic Fibrosis Foundation took a risky gamble for a non-profit organization: to finance research undertaken by a modest pharmaceutical biotechnology company to develop effective drugs against Idiopathic Pulmonary Fibrosis. It has been a success. The drug, Ivacaftor (1, 2, 3), is marketed as Kalydeco® . From an investment of $150 million, Cystic Fibrosis Foundation will make more than $3 billion in royalties from the sale of the drug Kalydeco®. This quantity is 20 times the annual budget of the foundation. This triumph, the greatest in purely economic terms, will boost the performance of similar projects in which associations of patients with "economically unattractive" diseases for pharmaceuticals will obtain a share of the laboratory’s profits. It is an interesting, though risky way to encourage research, while contributing to the maintenance of these organizations of patients. But economic interests may undermine the purpose of these associations and non-profit foundations, moving more towards the seeking of substantial profits at the expense of aid to the sick - the primary objective of their founding statutes. Take into account that the annual cost of treatment with Kalydeco® (Ivacaftor) is approximately $300,000. This high cost of treatment is an issue with two sides: the more expensive the drug, the higher the royalties obtained by the foundation; but at the same time, public and privates health services make access to the drug difficult for an increasing number of potential patients. Remember that in the US, the price of drugs is set by the manufacturer, and any negotiations with public or private health providers are forbidden by law. The fact that a significant portion of the royalties from the sale of the drug goes back to the foundation should be seen as a window of opportunity for the investigation of this serious illness. 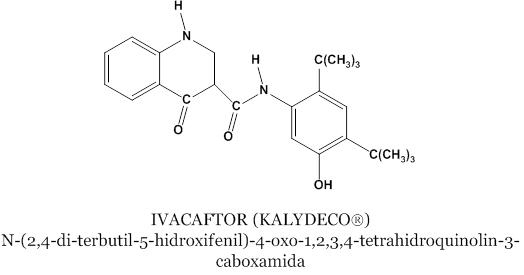 Ivacaftor (Kalydeco®), developed by Vertex Pharmaceuticals, was approved by the Food and Drug Administration (FDA) on the last day of January, 2012 (5). Ivacaftor is the first drug that treats one of the underlying causes of cystic fibrosis, slowing down the progressive deterioration of lung function. Ivacaftor (VX-770 in preclinical named) enhancer acts as CFTR (Cystic Fibrosis transmembrane Conductance Regulator), a protein complex that regulates the opening of the chloride channels of the cells lining the secretory epithelia. In patients with Cystic Fibrosis, secretions tend to accumulate in the bronchia and alveoli, are a true bacterial breeding ground, especially for Gram negative bacteria Pseudomonas aeruginosa. Patients require an almost continuous antibiotic treatment and α-dornase (6) [Pulmozyme®] (mucolytic enzyme with the same amino-acid sequence and glycosylation pattern as human deoxyribonuclease-1). The discovery in 1989 of genetic mutations linked to cystic fibrosis opened two potential treatment options: firstly, a gene therapy (the insertion of functional cftr gene (encoding the CFTR protein), and, secondly, to restore, wholly or partially, the function of the CFTR protein. The most common mutations (F508) lead to a failure in the intracellular processing of the CFTR precursor and/or its expression on the cell membrane. This mutation affects two out of three patients with cystic fibrosis, and no specific drug has been found so far. Another less common mutation, known as G551D, is expressed in approximately 4% or 5% of patients, and affects the ability of the receptor (CFTR) to adopt the appropriate conformation that allows it to perform its function. Ivacaftor is the first drug to treat patients with this mutation. Ivacaftor was approved based on two clinical studies. The first was conducted in 161 patients⪚12 years with FEVxsecond-1 between 40% and 90% of what had been predicted (average: 64%). The second trial evaluated 52 children aged between 6 and 11 years with FEVxsecond-1 in the range 40% to 105% of what had been expected (average: 84%). Both studies lasted 48 weeks. In both trials, patients were divided randomly into two arms, respectively treated with 150mg of Ivacaftor or placebo according to a dosing regimen b.i.d. All patients receiving standard therapy including inhaled tobramycin (7) and α-dornase. In both studies FEVxsecond-1 improved after 24 weeks, and this improvement was maintained at the end of the study period (48 weeks). Another criterion for clinical improvement, such as weight gain, was also significantly higher in the study arms treated with Ivacaftor. [FEVx second-1: Forced Expiratory Volume in 1 second]. A third, and very interesting, study was conducted on 140 homozygous patients for mutation F508. These patients cannot express the CFTR on the cell membrane. All patients had a FEVxsecond-1 ⪚40%. The study compared 150 mg of Ivacaftor with a placebo, and both were administered b.i.d., and lasted 16 weeks. No superiority was observed in the arm treated with Ivacaftor compared with the placebo group. This result was expected, since the drug can only act on the CFTR expressed on the cell membrane, but not in patients with mutations that interfere with the receptor before its intracellular processing. Another potential Vertex Pharmaceuticals’ drug, known as VX809, is being evaluated. And other companies, like PTC Therapeutics, also have a drug in clinical study, Ataluren (Translarna®) (PCT124). Ataluren has been authorized by the European Commission, following the «positive recommendation» of the European Medicines Agency, for Duchenne Muscular Dystrophy. In the USA, Ataluren is considered an Orphan Drug, both for patients with Duchenne Muscular Dystrophy and those with Cystic Fibrosis. The mechanism of action is «Exon Skipping» (8). The Cystic Fibrosis Foundation has decided to sell the royalties obtained from Kalydeco® to Royalty Pharma, an investment firm. Royalty Pharma became well known after administering the royalties from Northwestern University gained from the discovery of Lyrica® (Pregabalin). In the past, foundations only supported academic research. However, these non-profit organizations have extended their associations to pharmaceutical companies, in what has been called «venture philanthropy». Some associations of patients, such as Leukemia & Lymphoma Society, JDRF (acronym for Juvenile Diabetes Research Foundation), National Multiple Sclerosis, and foundations of patients with muscular dystrophy, have created this kind of «Joint Venture Philanthropy». Some associations do not seek payback in economic terms, settling instead for the possibility of extending armamentaria of drugs for treating patients with certain diseases. Until now, the reimbursement on the investment of these foundations has been minimal. The Cystic Fibrosis Foundation has broken all previous paradigms. The increase in capital of these foundations can help launch new lines of research, and also alleviate the cost of inevitable and unpredictable failures. A risk associated with this approach is that altruistic donors (individuals or organizations) may consider their capital injection unnecessary. In the United States annual donations of more than $100 million are not surprising. Ivacaftor is useful only in a subgroup of Cystic Fibrosis patients who have a specific genetic mutation. The life expectancy of CF patients, currently estimated at 40 years, has doubled since the 1980s. The first time the Cystic Fibrosis Foundation donated money was in the late 1990s. This was to Aurora Biosciences, a small pharmaceutical company in San Francisco, California, USA, to study potentially useful chemicals in the treatment of this disease. Aurora Biosciences was acquired by Vertex Pharmaceuticals in 2001. At that time, Cystic Fibrosis was not a priority for Vertex Pharmaceuticals. The «Venture Philanthropy» between the Cystic Fibrosis Foundation and Vertex Pharmaceuticals has produced excellent results. This success is paradigmatic of a new sort of collaboration in the pharmaceutical world. In a statement by Francis S. Collins, director of the National Institute of Health, and co-discoverer, in 1989, of the gene whose mutation is responsible for the disease, he said: "This is a spectacular example of the success that sometimes accompanies exposure to risk". 1.- Pettit RS. Cystic Fibrosis Transmembrane Conductance Regulator-modifying medications: the future of cystic fibrosis treatment. Ann Pharmacother 2012; 46: 1065-75. 2.- Davis PB, et al. Ivacaftor. Nat Rev Drug Discov 2012; 11: 349-50. 3.- Accurso FJ, et al. Effect of VX-770 in persons with cystic fibrosis and the G551D-CFTR mutation. N Engl J Med 2010; 363: 1991-2003. 4.- López Tricas, JM. Nuevo medicamento para la fibrosis quística. http://www.info-farmacia.com/medico-farmaceuticos/revisiones-farmaceuticas/nuevo-medicamento-para-la-fibrosis-qu. In: www.info-farmacia.com. Consult: december 2014. 5.- US Food and Drug Administration. http://www.fda.gov/NewsEvents/Newsroom/PressAnnouncements/ucm289633.htm. In: www.fda.gov. Consult: November 2014. 6.- Suri R. The use of human deoxyribonuclease (rhDNase) in the management of cystic fibrosis. BioDrugs 2005; 19: 135-44. 7.- Bowman CM. The Longterm Use of Inhaled Tobramycin in Patients with Cystic Fibrosis. J Cyst Fibros 2002; 1 (Suppl. 2): 194. 8.- López Tricas, JM. 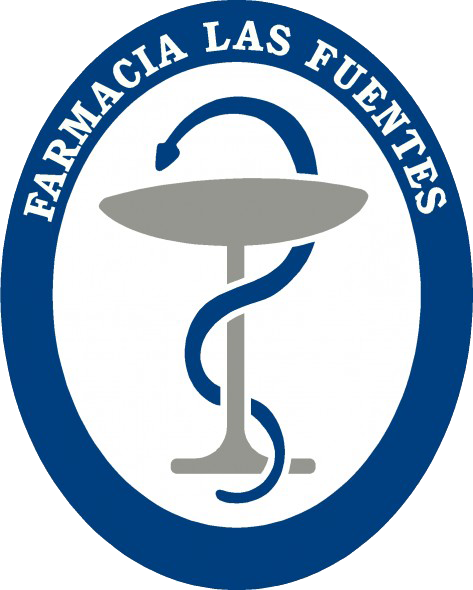 http://www.info-farmacia.com/medico-farmaceuticos/revisiones-farmaceuticas/exon-skipping-new-pharmacological-strategy-for-duchenne-muscualr-d. In: www.info-farmacia.com. Consult: November 2014.